Continuing our HAPPY theme this Saturday and joining Angela from Cuddles & Cartoons on her new This Made Me Happy Link Up. OK time to be honest ... the day they handed out art talents, I was not in line!?! LoL Recently some friends got together to do a Paint Party. I have NEVER painted any kind of artwork in my life, but thought it would be a great time to give it a try. I was amazed that I ended up with such a beautiful picture (shown above)! They do a GREAT job walking you through the process step by step. It was so neat that even though all of us did the same picture, they were all a little different. I admit I was nervous starting out, but enjoyed spending time with friends and was happy with the result. 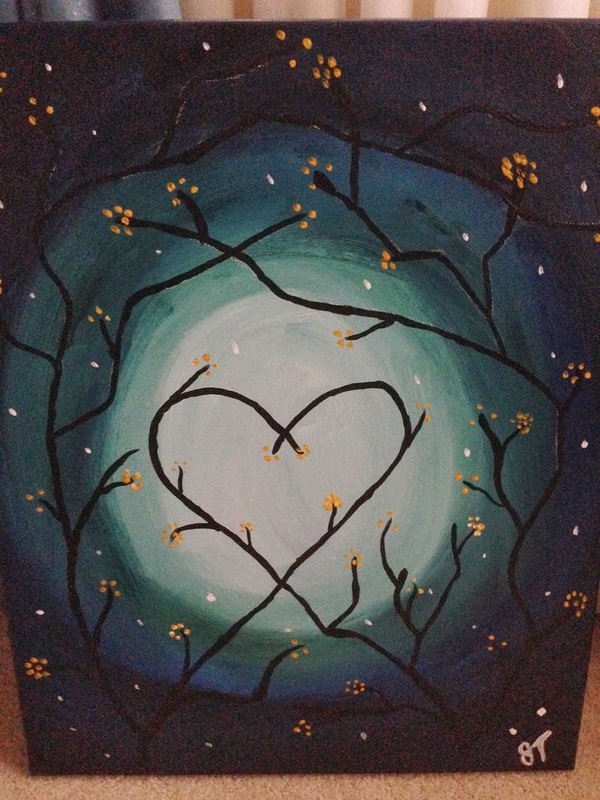 Recently there have been some specials on Groupon on these type of painting parties. If you get a chance, give it a try ... venture out of your comfort zone and you might be pleasantly surprised with the results and bring some happiness into your life!